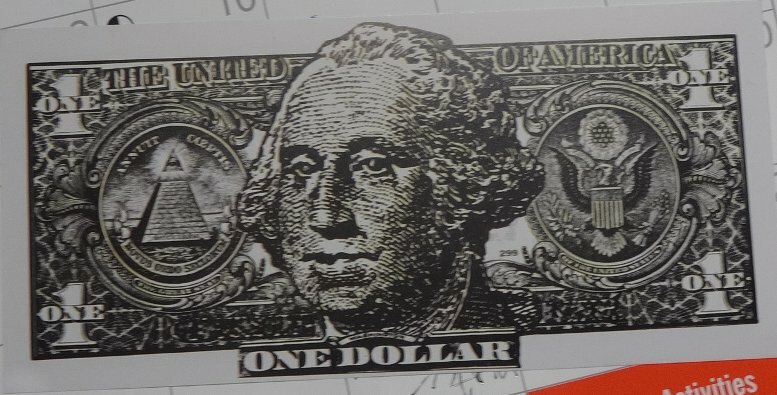 This bill was designed for this art exhibit by the same artist that did the cereal boxes. I got this bill from somebody else, a Green from back east. I traded it for a MEND YOUR FUELISH WAYS sticker. The guy who had it previously said "I like to pull it out as a joke sometimes." I collect funny money. I'm glad to add this one to my collection, so it was a good deal to me.